Apple’s iOS platform may be famously closed-off, but with iOS 8, the Cupertino giant has opted to relax its borders somewhat and allow third parties to develop their own keyboards, widgets, and integrate their apps with Siri, Safari & Photos Extensions and Touch ID. Not only is this great news for authors of such apps, but it’s also a sure-fire win for functionality, and if you wish to make the very most out of iOS 8 – specifically, the Notification Center – then we’re going to point you in the direction of some of our favorite widgets. 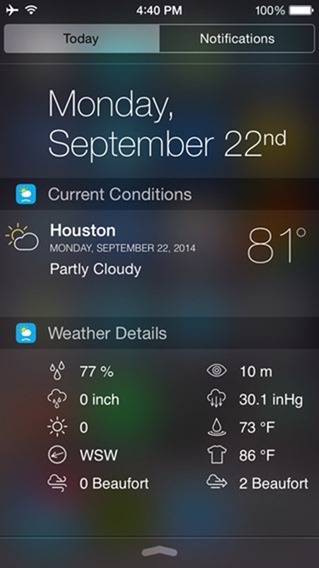 The Weather Widget is great because it lets you check specific details at a glance. Whether you want to know if you will need to take a scarf out or simply wish to check the wind speed and direction, this widget has you covered. 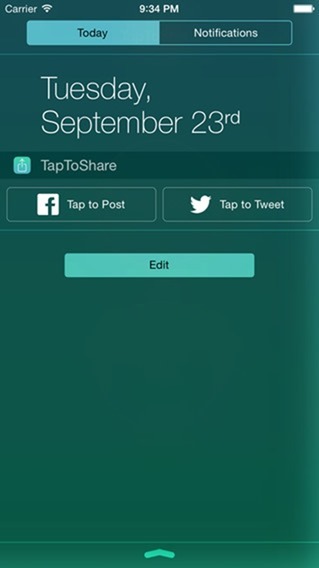 This widget brings those Facebook and Twitter share buttons back to the NC. For more details, check our full-on coverage here. As you’d imagine, this is another weather widget, and as with the aforementioned option, Forecast+ is awash with options. This all-in-one supports widgets for a number of your favorite apps, including Twitter, as well as offering quick access to utilities like Calculator, Compass, and many others. Frequent traveller? 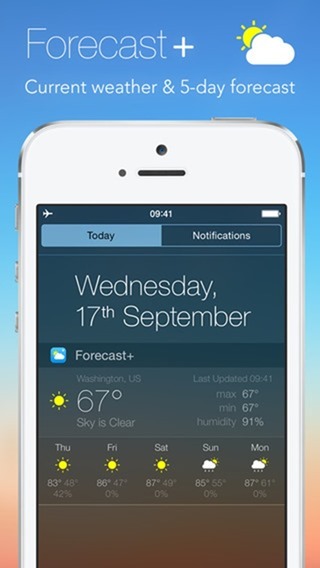 This app presents you with the times of any location you so desire, and does so inside a neat, stock-like interface. 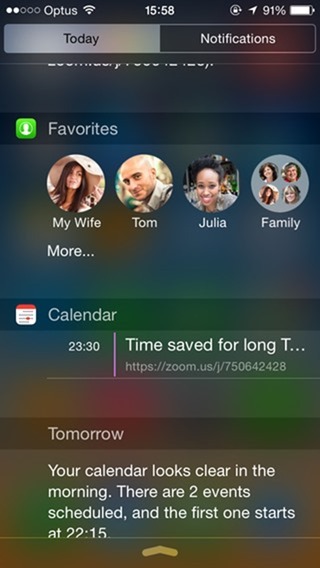 This widget lets you add your favorite contacts right in the Notification Center, making it easy for you to quickly call them up. 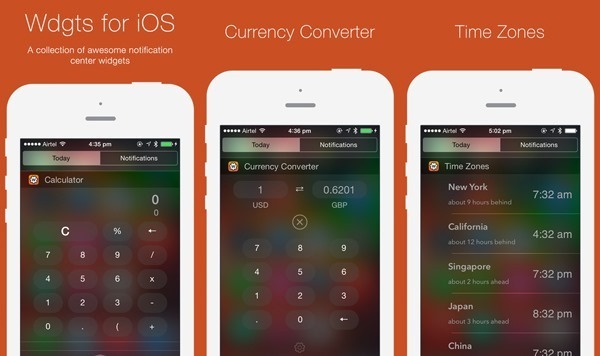 Wdgts adds widgets for calculator, currency converter, time zone, calendar and photo frame, all in one price. 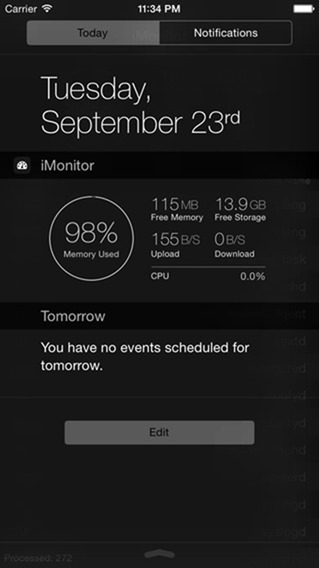 iMonitor helps you to keep abreast of your device’s memory, storage, CPU and more. 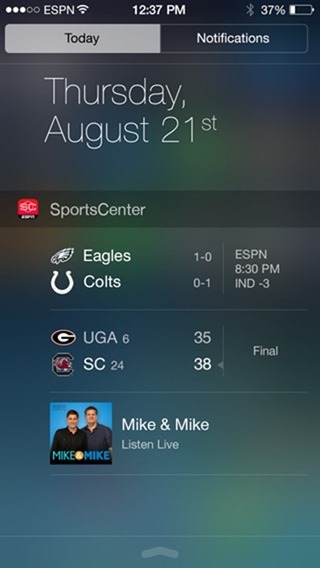 A must-have widget for sports fans. 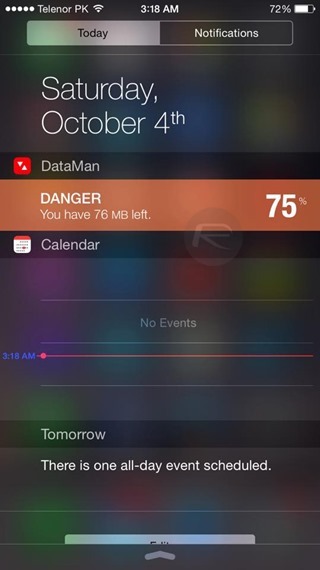 Keeping track of your cellular data usage in real time has never been this easy, and with a few themes to boot, it’s a must-have app + widget combo. And that’s our list for today. We don’t expect that every single widget took your fancy, but there’s something there for everyone, so grab the ones that pique your interest, and be sure to leave your comments below. Favorites Widget is pointless! 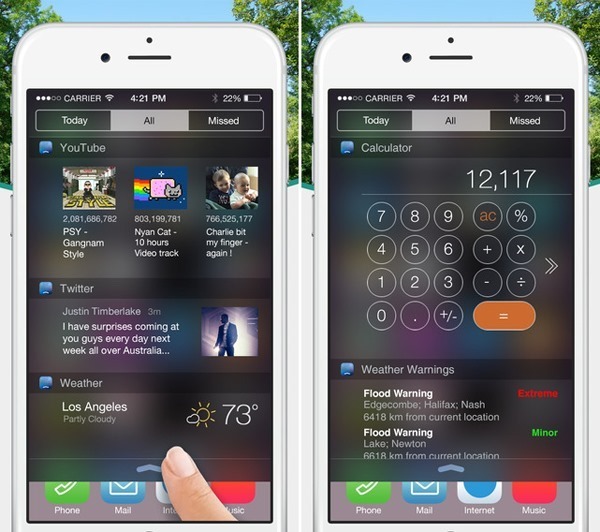 Just double-press the home button and swipe to the right to see your favourite contacts! I was thinking just this. When is a jailbreak being released cuz I need my bigU Movies app back from Cydia I got from xsellize repo or insanelyi repo? I heard the app just added The Equilizer, The Maze Runner, No Good Deed, A Walk Among the Tombstones and Guardians of the Galaxy. I guess I have to mess with old movies on netflix until a jailbreak is released. I still think that the Android widgets interface was better, instead of having to access the notification center to see the widgets, you could choose for it to be on the home screen. not available in US store? Favorites is not available on US store? Seems it may have been pulled as its also not available in Canada either. 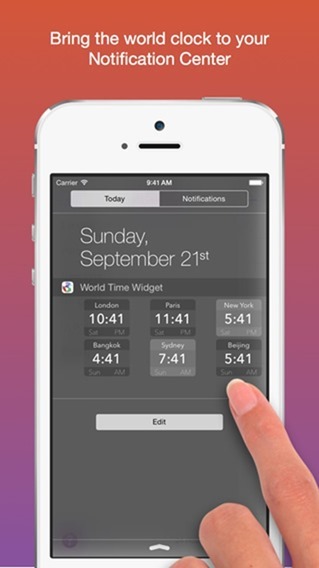 Widgets Pro would be perfect if it had access to Facebook like Twitter does.